Farmers are being urged not to be complacent on liver fluke this autumn. 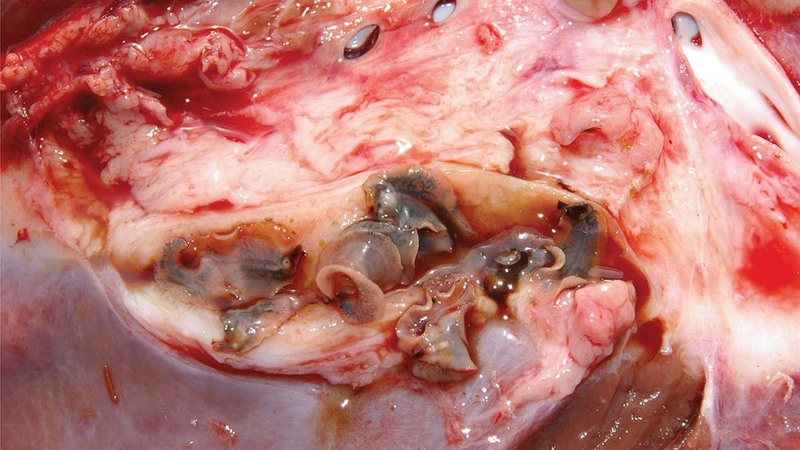 The Sustainable Control of Parasites in Sheep (SCOPS) and Control of Cattle Parasites Sustainably (COWS) said it would be ‘wrong’ for producers to assume the dry summer has killed off all liver fluke parasites and the mud snails associated with its complex life cycle. Lesley Stubbings of SCOPS says: “The burden of liver fluke on pasture will be much lower than last season due to one of the hottest and driest summers on record in many parts of the UK, but it is dangerous to assume this applies to all farms or even all areas on one farm. As a result of the dry year it is even more important for each farm to do its own liver fluke risk assessment, say the groups, as huge variations will exist from farm to farm. Some of the tools outlined include specific blood tests, copro (dung) antigen tests and faecal egg detection tests, details of which can be found on the SCOPS and COWS websites at www.scops.org.uk and www.cattleparasites.org.uk.